Priced below KBB Fair Purchase Price! $8,903 off MSRP! Bob Moore Buick GMC is proud to offer this 2019 GMC Terrain SLE in Quicksilver Metallic with Jet Black Cloth. Well equipped with the following: 26/30 City/Highway MPG Please call 1-888-378-5165 for availability. Se Habla Espanol, We FINANCE!!!! Priced below KBB Fair Purchase Price! $8,367 off MSRP! Bob Moore Buick GMC is proud to offer this 2019 GMC Terrain SLE in Summit White with Jet Black Cloth. Well equipped with the following: 26/30 City/Highway MPG Please call 1-888-378-5165 for availability. Se Habla Espanol, We FINANCE!!!! Priced below KBB Fair Purchase Price! $8,312 off MSRP! Bob Moore Buick GMC is honored to offer this 2019 GMC Terrain SLE in Summit White with Jet Black Cloth. Well equipped with the following: 26/30 City/Highway MPG Please call 1-888-378-5165 for availability. Se Habla Espanol, We FINANCE!!!! Priced below KBB Fair Purchase Price! $8,521 off MSRP! Bob Moore Buick GMC is honored to offer this 2019 GMC Terrain SLE in Red Quartz Tintcoat with Jet Black Cloth. Well equipped with the following: 26/30 City/Highway MPG Please call 1-888-378-5165 for availability. Se Habla Espanol, We FINANCE!!!! Priced below KBB Fair Purchase Price! $8,617 off MSRP! Bob Moore Buick GMC is very proud to offer this 2019 GMC Terrain SLE in Graphite Gray Metallic with Medium Ash Gray/Jet Black Cloth. Well equipped with the following: 26/30 City/Highway MPG Please call 1-888-378-5165 for availability. Se Habla Espanol, We FINANCE!!!! Priced below KBB Fair Purchase Price! $8,222 off MSRP! Bob Moore Buick GMC is excited to offer this 2019 GMC Terrain SLE in Summit White with Jet Black Cloth. Well equipped with the following: 26/30 City/Highway MPG Please call 1-888-378-5165 for availability. Se Habla Espanol, We FINANCE!!!! Priced below KBB Fair Purchase Price! $8,647 off MSRP! Bob Moore Buick GMC is pleased to offer this 2019 GMC Terrain SLE in Quicksilver Metallic with Jet Black Cloth. Well equipped with the following: 26/30 City/Highway MPG Please call 1-888-378-5165 for availability. Se Habla Espanol, We FINANCE!!!! Priced below KBB Fair Purchase Price! $8,332 off MSRP! Bob Moore Buick GMC is proud to offer this 2019 GMC Terrain SLE in Ebony Twilight Metallic with Jet Black Cloth. Well equipped with the following: 26/30 City/Highway MPG Please call 1-888-378-5165 for availability. Se Habla Espanol, We FINANCE!!!! Priced below KBB Fair Purchase Price! $8,247 off MSRP! 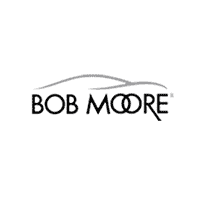 Bob Moore Buick GMC is pumped up to offer this 2019 GMC Terrain SLE in Ebony Twilight Metallic with Jet Black Cloth. Well equipped with the following: 26/30 City/Highway MPG Please call 1-888-378-5165 for availability. Se Habla Espanol, We FINANCE!!!! Priced below KBB Fair Purchase Price! $8,334 off MSRP! Bob Moore Buick GMC is excited to offer this 2019 GMC Terrain SLE in Summit White with Jet Black Cloth. Well equipped with the following: 26/30 City/Highway MPG Please call 1-888-378-5165 for availability. Se Habla Espanol, We FINANCE!!!! Priced below KBB Fair Purchase Price! $8,109 off MSRP! Bob Moore Buick GMC is pleased to offer this 2019 GMC Terrain SLE in Ebony Twilight Metallic with Jet Black Cloth. Well equipped with the following: 26/30 City/Highway MPG Please call 1-888-378-5165 for availability. Se Habla Espanol, We FINANCE!!! !